The recent NAB Show organized by the National Association of Broadcasters was the year's largest gathering of people that care about media and entertainment, which should be almost everyone who goes to the movies, watches TV or streams content. So, everyone. Bottom line: If they were there, they created or consumed digital content or supported media workflows. The event took over Las Vegas and took in more than 92,000 attendees and 1,600 exhibitors representing 30 different industries, ranging from audio to artificial intelligence. With hundreds of educational sessions across eight different programs and three separate training programs, there were many lessons learned. If we learned anything this week at NAB, it's that artificial intelligence (AI) is part of the fabric of film-making in more ways than one. Currently there have been a few big successes with machine learning and AI to date as companies are beginning to figure out how to get the true value out of these emerging technologies. The session I attended, "Revolutionizing Media Workflows with Intelligent Content," included representatives from Google, FOX Sports and Discovery Channel discussing how they've scanned film and tagged the files with rich metadata to improve their workflows. There are at least 30 sessions scheduled on the topic throughout the week in Vegas. As I learned in the session, metadata management and machine learning have become difference-makers in the art and business of content creation. Given the strong interest and number of organizations turning to AI, we are likely to see more innovations coming to market, especially from a wide range of industries, beyond media and entertainment into life sciences and electronic design automation, for instance. I also sat in on a session explaining how Marvel Studios fused live action sequences in the new Captain Marvel movie with special effects that are literally down to a hair's breadth. The studio's graphic artists needed to match live action shots of Brie Larson's hair flowing in the wind with lighting effects on each individual strand of her hair, making make-believe more believable. The scenes involving the interstellar pet cat, Goose, took three real cats that participated in only 30 percent of the scenes. The other 70 percent were all CGI. While the session rarely mentioned technology, it boggles the mind to think of the computer rendering power needed to process those workflows. Companies like Marvel continue to require high performance, with seamless access to a large number of small and large files to do their work productively and profitably. Yet the bursts of file writes and reads to make the movie magic will be followed by periods of inactivity until it's time to tweak the effect or make a sequel. The animation studio's technology has to keep up with the demands of the artists and that includes providing access to the media files without requiring changes to their workflow. Whether you're a creative enthusiast or rendering the next comic book movie, you can't keep creating, sharing and storing content on the same technologies and still hope to grow new audiences and out-do the competition at the box office. That's the message I heard from multiple cloud storage companies at the show. 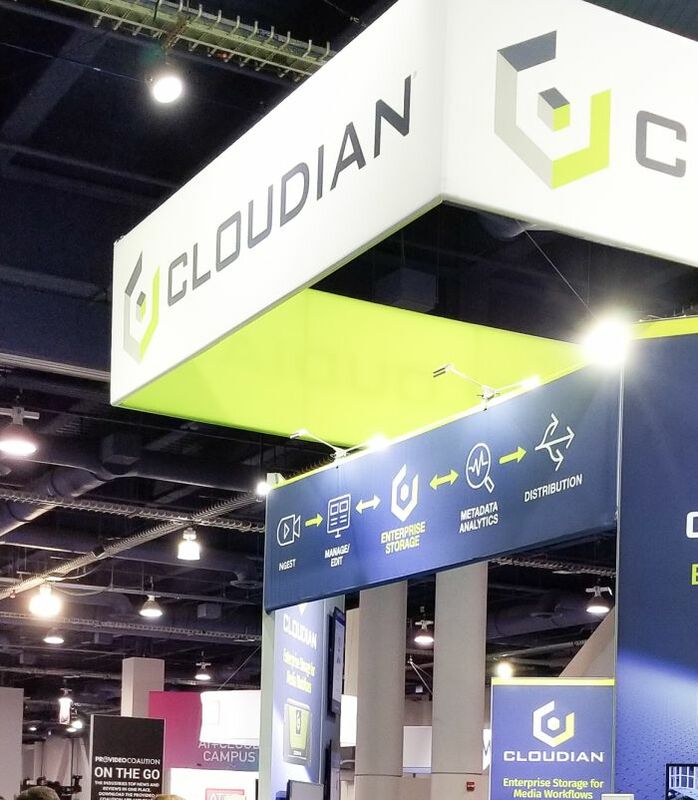 I was thrilled to speak at the Cloudian booth on hybrid cloud trends and I met with several representatives from the private cloud/object storage community about the shared opportunities to help media and entertainment companies leverage emerging cloud technologies to control their storage costs without disrupting their business. As the existing primary storage capacity continues to grow at 40 to 50 percent annually, media companies will soon hit the 3-petabyte wall. They could continue to expand their existing storage or consider alternatives to public cloud, which may carry limiting factors when it comes to long-term cost and short-term performance requirements. Moving inactive data, representing about 80 percent of all data, to nearly infinite capacity such as object storage on-premises (private cloud) gives these entertainment shops a more cost-effective way to scale their infrastructure over time, yet still have access to their files regardless of how long they've been inactive. 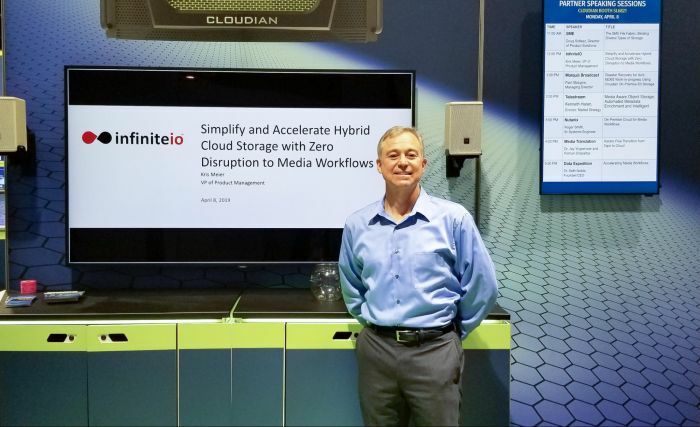 Besides Cloudian, Western Digital and IBM also made their presence felt at NAB. As the NAB Show proved, content is still king. As the industry evolves and opens new doors for innovation, content creators and their customers will continue to have to deal with new delivery vehicles that all require intensive file management and sharing. How the cloud and storage industry responds to support the needs of broadcasters, designers and digital artists will be critical to the success of the M&E industry. Kris Meier, vice president of product management, defines and delivers InfiniteIO’s hybrid cloud storage solutions and products. He has more than 20 years of product management and development experience in a variety of technical and marketing positions delivering networking and storage solutions. Before joining InfiniteIO in 2018, Kris was with Data Dynamics where he led the vision for integrating big data analytics and archiving solution. 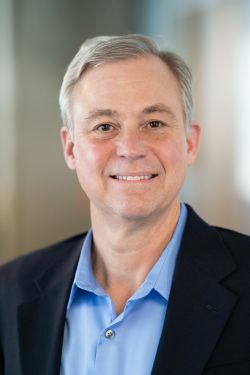 Prior to this, Kris was director of product management at CacheIQ from 2010 through its 2012 acquisition by NetApp, where he was responsible for integrating CacheIQ caching products and managing NetApp’s private cloud storage solutions. Previously, Kris held a variety of product roles at Storspeed, Verari Systems, NetEffect (now Intel), Dell, and HP.